The Michigan Avenue Magazine launch party was phenomenal from start to finish! The James Hotel was definitely the place to be and be seen! Top Chicago socialites, Hollywood models and stars turned out in force to make this event stand apart from all the rest of those so-called celeb filled parties! Michelle Williams got the crowd jumping first during her performance of her new single ‘We Break The Dawn’. While award winning actor Terrence Howard memorized the ladies on-stage and off with his guitar and smooth vocals. And model Cindy Crawford was no less than perrrfect from head to toe! Even up close and personal she didn’t have one single flaw! Who says you have to age nowadays? XA– you need a AWARD!! Djwhiteshadow turned swanky Louis Vuitton on Michigan Avenue into club LV last Tuesday night (Sept. 18th). The deejay had the crowd dancing and singing between designer duds for celebrity chef Art Smith‘s V.I.P. reception and book signing. 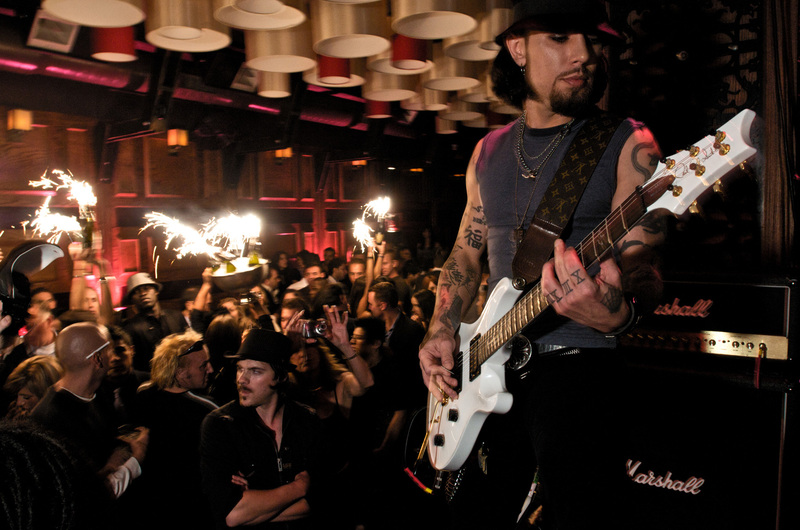 Bad boy Dave Navarro gave the ladies a special treat during his personal appearance at Manor nightclub, Sept. 18th. Instead of just hanging behind the velvet ropes Dave whipped out his guitar and jammed for over 30mins! I know the ladies were happy! The official Janet Jackson after-party is happening Thursday night Sept. 25th, at Le Passage nightclub with super star guests Jermaine Dupri and LL Cool J. RSVP now! And a special BIG CONGRATS goes to Emmy nominated host Catie Keogh of hit entertainment news show Chicago 24/7. Catie is not only a great host but serves as executive producer too! Catie your doing a fantastic job, congratulations! The Womens board of the Joffrey ballet “Couture and Cocktails” was a hit! Host and chairman Candace Jordan was looking fab in Michael Kors while giving rapper Diddy a run for the money in the bling-bling department with stunning diamonds from sponsor Van Cleef and Arpels. Spotted on the scene: D. Graham Kostic of CS Magazine showing off his new designer boots from a recent shopping spree. Helen Melchior wearing a beautiful long Maria Pinto evening gown. And my favorite MC Kid Sister and her ‘Aunt Rose‘ were there. Her auntie is such a sweet heart and gave me all the dirt on Kid Sister growing up. 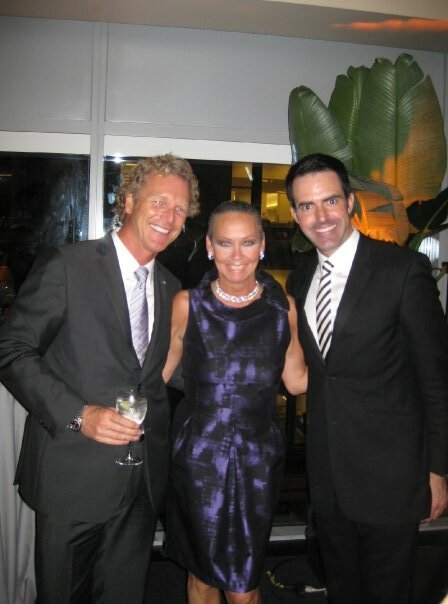 Susanna Homan was simple and elegant as usual in her favorite designer –Prada (I think she has a deal with them?) and when I took a chance and tried to poke her about the V.I.P. launch of Michigan Avenue Magazine on Saturday she was more tight-lipped than a F.B.I. agent! And the best dressed male of the night, drum roll please…. Marty Higgins of the Penninsula, his suit was impeccable! 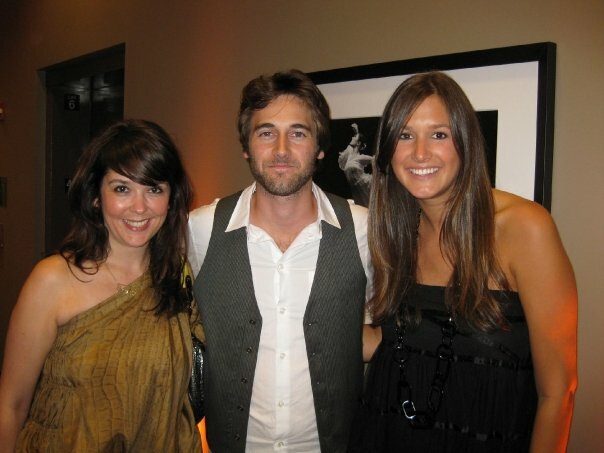 Now, this event was really full of highlights from the silent auction, great food (root beer floats), the all-white decor and the Maria Pinto fashion show, but the one that knocked my socks off was meeting 90210 guest co-host and super hottie Ryan Eggold. The actor/singer of the new CW series hit has many talents. Besides his good looks, he also has a band and is currently in the studio recording new material! The up and coming star will not only melt your heart by taking of his shirt but by also singing to you naked in bed……need I say more? Special kudos goes to the event fashion show producer Lisa Marie McComb. The Maria Pinto fall 2008 collection dazzled and not only loosened up the crowd but the the great music (that she downloaded at 2 am the morning before) turned Joffrey Tower into the most exclusive nightclub in CHICAGO! People of all ages got up on the runway, cranked up the music and got down (Amanda Puck, Kim Crompton)! It was a GREAT evening and the best part was, it wasn’t overdone! It was simple in essence, yet very, very glam! Candace, I can’t wait for next year!